The first thing that comes to mind after you buy your own car, is what after market upgrades should you get? In Dhaka, aftermarket parts aren’t that cheap due to ridiculous tax rates but that will never stop petrol heads from buying upgrades. Whether you get upgrades from abroad or locally, here is a guide for entry level mods that will touch Mechanical Grip, Chassis Brace and Performance. 1. Wider Wheels/ Tyre : The more surface area the tyre will cover, the more grip it can deliver (Science :P). Installation of wider wheels will result in improved handling, cornering and braking. Note that a semi slick tyre like the one in the picture (Toyo Proxxes R888) can deliver a hell lot of grip but will not last long and these aren’t cheap. 2. Coil Over Springs: One of the most widely discussed and installed mods is the Coil Over. Coil Over Suspension allows for tyres to grip the road better at higher speeds. Adjustable ones allow for the owner to adjust the setup of the springs e.g Height and Damp Stiffness him/herself according to individual preference. Note that, the ride comfort is reduced and the ride will become more stiff. 3. Anti Roll Bar Kit: One of the cheaper handling improvements include the addition of Anti Roll Bar Kit. This allows for better body rigidity and correction of Understeer/Oversteer. The car also stays level with the road. Installation of an Anti Roll Bar Kit will make for a rougher ride. 4. Stiffer Motor Mounts: Often looked over in terms of better mechanical grip, stiffer motor mounts not only lead to better handling precision, but also helps for better motor response. But this will lead to more motor noise and driveline vibration. 5. Stainless Steel Brake Lines: Rather than conventional brake lines that can’t take much abuse, stainless steel braided ones have less chances of ruptures and reduces your chance to crash and die (X_X). Also this will aide for quicker brake response. Note that this will be a pricey modification. 6. High Temperature Brake Pads: As per the name, these brake pads can take more heat during heavy breaking, hence they are longer lasting and serve better precise braking. Will lead to faster deceleration and less fading. Note that bringing these brake pads up to temperature are a bit of a drag. 8. 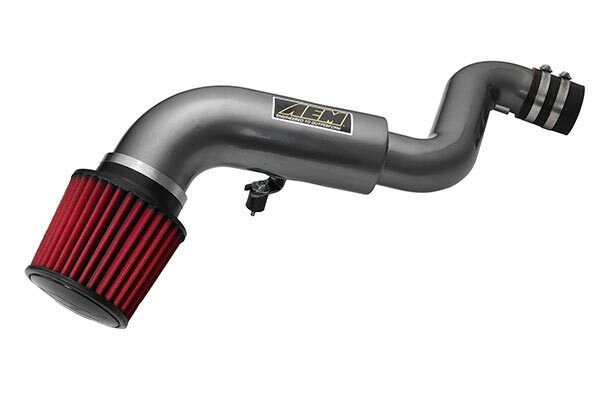 Cold Air Intake: A more popular and conventional performance mod includes the replacement of the OEM air intake with a Cold Air Intake that allows for more cooler air to enter the motor and it works best at higher speeds. Installation will allow for a more aggressive motor sound at higher RPM (Aww Yass! :P). 9. CAT Back Exhaust: Make some noise with Catalyst Back Exhaust which with the noise, also allows for more efficient high speed motor operation. Note that typical neighbor complains will come a plenty but you’ll have people turning heads at least. Now you guys and gals might be thinking why I added more handling mods than performance ones. Its because the traffic filled streets of Dhaka quite honestly does not suit too much power. Its better to have proper handling mods to avoid hitting the more than occasional citizens who prefer to cross the road directly without the foot over bridge. But honestly some performance mods coupled with a proper suspension setup can have you flying around. This is just my opinion though. I will come back some other time to bring anything more I can find to the table. Till then, God Speed.